AgriDust is a project that turns food waste into biodegradable material which can be used to make packaging and plant pots. 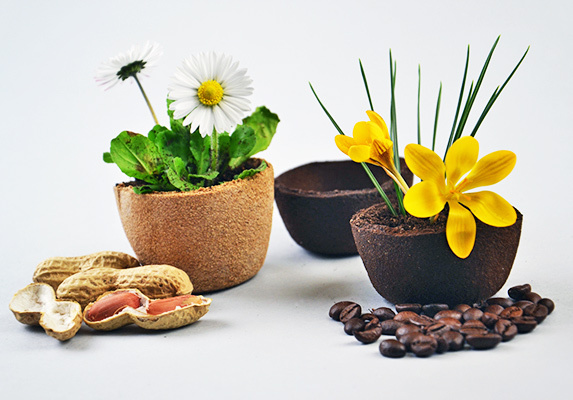 Italian designer Marina Ceccolini devised a way to transform six types of food waste—coffee grounds, peanut shells, tomato skins, bean pods, and orange and lemon scraps—into materials with a new life. The recycled organic material can be used in 3D printers for one of the most environmentally-friendly methods of production yet. Ceccolini created AgriDust as her final project at the University of Design of San Marino, where she studied the recovery of food waste. AgriDust is composed of waste (64.5 percent) and potato starch-based binder (35.5 percent) and uses cold technology which renders it compatible with 3D printing technology when the classic extruder is replaced with a syringe. AgriDust allows for food waste to be used to create different types of packaging and plant pots in a non-toxic way. The project will be exhibited at this year’s Milan Expo, where visitors will have the opportunity to learn more about the process and perhaps reproduce it in their own homes. Ceccolini created AgriDust as her final project at the University of Design of San Marino, where she studied the recovery of food waste. AgriDust is composed of waste (64.5 percent) and potato starch-based binder (35.5 percent). The process uses cold technology which renders it compatible with 3D printing technology when the classic extruder is replaced with a syringe. 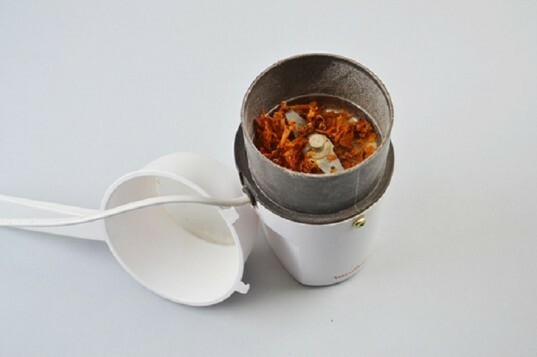 AgriDust allows for food waste to be used to create different types of packaging and plant pots. The process is completely non-toxic and renewable. AgriDust will be exhibited at this year’s Milan Expo. Visitors will have the opportunity to learn more about the process. AgriDust has a wide variety of potential applications. People could reproduce it in their own homes.